Rangebound volatility - will this last? There has been limited volatility as measure by the VIX index and the ranges show it. There has not been a sustained month of high volatility above 20% since the second quarter of 2012. The monthly ranges have increased, but have generally stayed below the 20% threshold. The last big taste of high volatility was during the post-QE2 period which was one of the contributing reasons for Operation Twist. It could argued that the normalization of unconventional monetary policies allowed for lower equity volatility. The greater current policy uncertainty toward long-run monetary normalization has increased the volatility of volatility over the last four months. The market question is whether as rates rise will there be a sustained increased in the VIX. It does not seem that credit will be constrained with incremental increases in the Fed funds, but this may be a key risk facing the market starting at the end of the second quarter. What is the liquidity premium that you will pay to have an asset that holds its price when you want to sell it? How much do you need to be compensated for an asset that cannot be sold immediately? These are question that are not often asked by investors make an initial purchase, yet pricing this trade-off between return and liquidity is critical in any financial downturn. How much liquidity will I need during "bad times"? 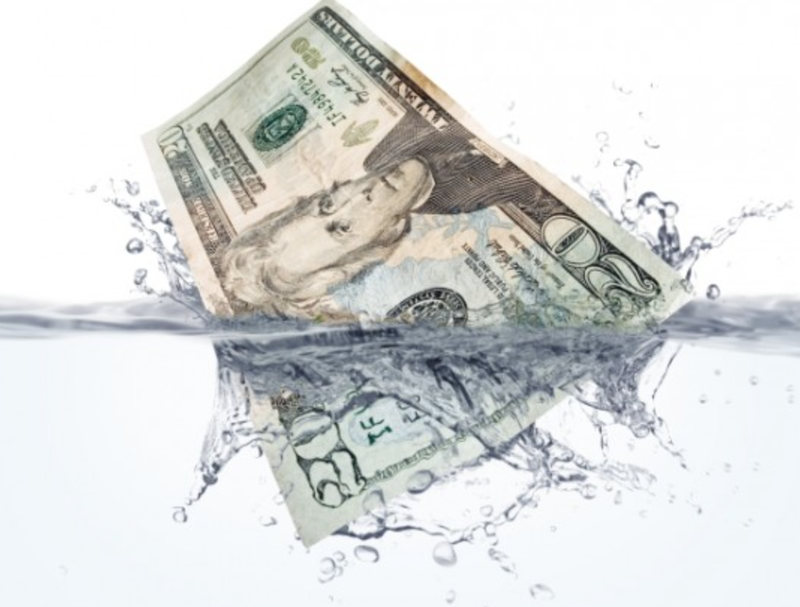 Again, this contingency is not often planned for by investors, yet in bad times there will be a greater need for liquid assets since income may be impaired. Do I prefer a less volatile investment in an illiquid asset or a more volatile investment in a liquid asset? Liquid assets which are priced by the market are generally more volatile than assets that are priced by dealers or through a model. How much extra return do I need for this volatility? Can everyone have liquidity at the same time? Since liquidity is based on both buyers and sellers in the market, there has to be two way flow and differences of opinion or there is no liquidity. 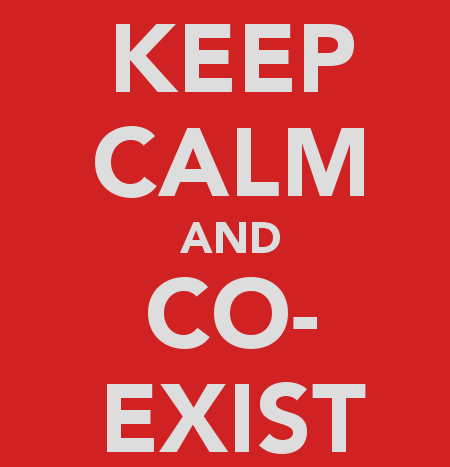 Everyone cannot have good at the same time. Understanding liquidity is no different than understanding where the exits are in a crowded theatre. The time and cost of getting out of the theatre are a lot different in an emergency than when times are calm. Thinking of liquidity does not require extreme behavior like holding high cash levels, but it does require strategic as well as tactical planning. Bad times are a predictable surprise. Unexpected negative events will occur and investors should not be surprised when there is a liquidity shortfall. 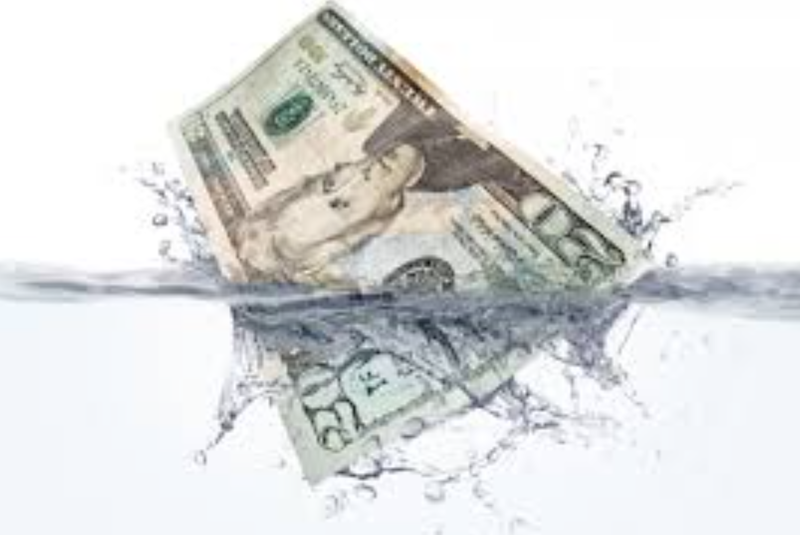 Liquidity is like the price of water - cheap in good times but priceless when there is a shortage. The Fed’s ability to affect real rates of return, especially longer-term real rates, is transitory and limited. Except in the short run, real interest rates are determined by a wide range of economic factors, including prospects for economic growth—not by the Fed. The bottom line is that the state of the economy, not the Fed, ultimately determines the real rate of return attainable by savers and investors. The Fed influences market rates but not in an unconstrained way; if it seeks a healthy economy, then it must try to push market rates toward levels consistent with the underlying equilibrium rate. Those quotes are from the first posting of Ben Bernanke's new blog for the Brookings Institute. It is quite interesting to have the former Fed Chairman say that the Fed cannot affect interest rates. Of course, the comments are true in the long-run, but the Fed has always been trying to push rates above or below the neutral or equilibrium rate to hit its long-term targets. This is the measure of tight or loose monetary policy. This is discussion on the level of the neutral rate and how rates are determined is the critical issue of 2015. If the neutral rate of interest has fallen and is closer to zero, then the Fed will and should keep rates lower for a longer period of time. Raising rates will create a tightening bias. Normalization under a low neutral rate will not require significant rate hikes. If the neutral rate is closer to the long-term trend in growth or 2%, then rates will have to move much higher for normalization. 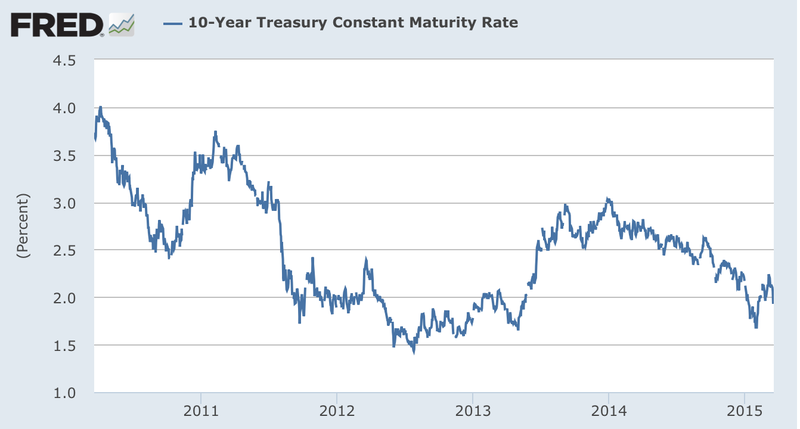 If the neutral rate is closer to zero, then bonds are really not overvalued. Investors should be less worried about a bond bubble. The right determination of the neutral rates is what every investor should be thinking about at this time. 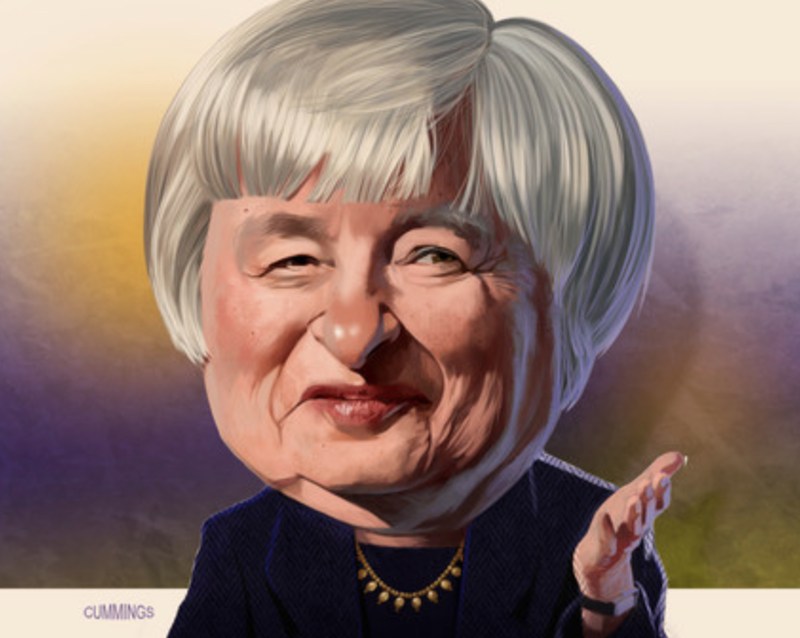 Yellen speech - learning something new or more of the same? I reviewed the Yellen speech given at the San Francisco Fed last week. The comments are most recent views of the Chairman and it was focused on an audience of professional economists. There is a lot of content on the surface with a good review of many key issues in monetary economics, but in the end the content was empty if you were looking for "forward guidance" on rate directions. Patience is still the watchword even if it is not used by the FOMC. There is a significant amount of misguidance on what markets should expect. Yellen is not telling us anything wrong. The Chairman is just not providing insight on how action will be taken except that it will be flexible with conditions at any given time. If the purpose of forward guidance is to provide clear concise information on policy. You did not get it. I can agree with the summary seen in a number of economic blogs. Rates will rise some time this year, but maybe not immediately. 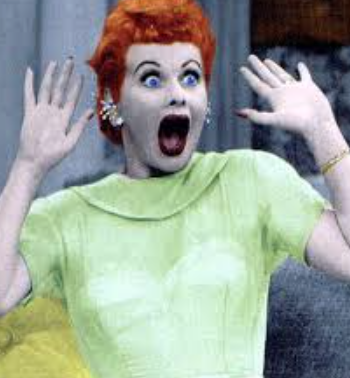 The SEP forecasts, Fed funds, and forecasters have said this for some time. Nothing new here. The rate adjustment will be gradual. We already expect that this could take years and the Fed has no clear idea of how to get rates normalized quickly. Policy lags are significant. We do not know what those lengths are in the unconventional world of zero rates. This tells us the no one know what the reaction will be to current or future policy. Inflation is going to be a guide for these adjustments. If there is no inflation, there will be no rise in the Fed funds. Everything is going to be flexible. The wording is data dependent but the real policy is just discretion. All this means is that following Fed speeches is a loser's game. Follow the markets through price trends and fundamentals. Have a cocktail with friends and chat about Fed policy but leave the heavy lifting of investment decisions to a clear set of decision rules. The Yellen speech was like a Seinfeld episode - a lot of little stories but ultimately a show about nothing. The discussion of about bond markets revolves around what is the right rate of interest for the long-run if we return to normal policy. To have this discussion, investors need to identify terms like the natural rate of interest and the neutral rate of interest. These have often been used interchangeably but there are some differences. Looking at these concepts help to frame any discussion on bond values. The natural rate of interest is the rate which will allow for borrowing and lending to clear markets. It is the rate described by Knut Wicksell that reflects real factors that effect the price of consuming today or delaying consumption. It is the rate of interest that balances savings with investment. The natural rate will change with demographics and productivity. It has been described as the rate that avoids booms and busts and places the economy on a sustainable growth path. It has been associated with the Austrian school of thinking and is not easily measured. The natural rate is one that is unaffected or controlled by policy. Generally, this has been viewed as the rate that is consistent with long-term trend growth in the economy. If long-term trend growth is 2%, the natural rate should also be 2%. This is a real rate so if you add inflation, the natural rate at the Fed target of 2% should be 4%. However, there is significant disagreement on this level. Some economists have measured what they think is the natural rate and find it has been declining. This is a reason for the distinction with what may be called the neutral rate of interest. The neutral rate of interest is a more dynamic measure of what could be called the equilibrium interest rate. The neural rate is the interest rate that will allow for sustainable growth at the long-term trend. In this case, the neutral rate is tied to the output gap. If there is a output gap with growth below trend, the neutral rate should be lower to reflect the fact that current growth has to be higher in order to match long-term trend. Similar to the natural rate, it will be effected by long-term growth, demographics, and productivity but seems to reflect the deviations from trend. Some suggest that the rate described by the Taylor Rule represents the neutral rate of interest. The neutral rate of interest could equal the natural rate in equilibrium but if the economy is away from equilibrium, the neutral rate may be lower than the natural rate. Given it could be tied to the Taylor Rule, it can be measured. So what should it be? I can live with a Taylor Rule measure as the neutral rate of interest and accept a difference between the natural and neutral rate. The purpose of having this discussion is that it can frame issues of whether current rates are over or under-valued. By a Taylor Rule measure, rates are too low although the neutral rate seems lower than the natural rate. We are still in a rate world that is out of equilibrium and any adjustment to equilibrium will likely cause cause rates to rise. The new portfolio management view is that the focus of investors should be on risk-based investment decisions not asset-based decisions. Stop thinking about what is your exposure to bonds or stocks and think about your exposure to inflation or economic growth. The assets do not matter. The factor risks matter. It is not easy to make this switch and it still requires that you map risks into asset allocation space, but this focus on factor risks is a strong advancement to money management practices. This change in focus to risk-based analysis has taken two directions. First, there has been the moment to risk-parity types of allocation decisions. Second, there has been a focus on alternative beta analysis. Both of these approaches have shown to have advantages over a portfolio management process based on fixed allocations to asset classes. The evolution to risk parity approaches is a further advancement on diversification. If you believe that diversification is the only or true free lunch in investments, it does not make sense to hold more equities relative to fixed income. Equities are riskier than fixed income. You do not provide the maximum amount of diversification when you hold more equity risk. Asset classes could be diversified through equating their volatility or contribution to risk. There are drawbacks to this approach. Clearly, there will be a greater exposure to fixed income which has lower volatility. If equities have a higher risk premium, the equality to risk will change the exposure to significant return contributors. The rise of alternative beta focuses on the risk factors that drive return. We know there are well-defined risk factors which can be isolated relative to overall market risk. There is a value effect, and small firm effect in equities. There is a backwardation effect in commodities. There is a term premium and credit risk premium in fixed income. There is a momentum effect in most asset classes. All of these can be used to diversify portfolio returns. This is the foundation of alternative beta strategies. Finally, there are risk-based factors associated with macroeconomics. There is inflation and growth risks that impact asset classes differently. Equities should be less affected by inflation than fixed income. 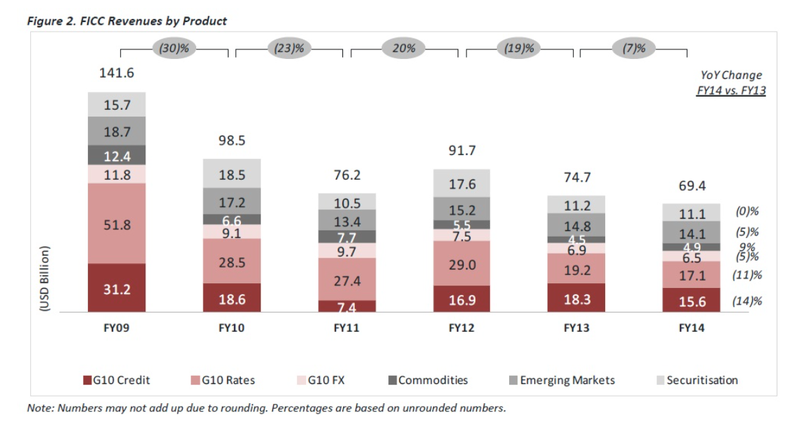 Growth will impact equities and fixed income albeit with different sensitivities. Ultimately, investors want protection from the "bad times" of slow growth and high inflation and it makes sense to directly identify a portfolio's sensitivity to those factors. The problem with any switch to risk-based factors is twofold. The sensitivity to risk factors is not stable. Inflation sensitivities changes through time. More important is tracking error. A switch to risk-based investing will generate significant tracking error to traditional benchmarks. This creates anxiety for the portfolio managers. What works in theory may just not make a portfolio manager willing to take the career risk of tracking error. Survey work suggests that over 40% of pensions may be willing to make some switch to risk-based or alternative beta management, but this may be a slow process. This may seems like an odd impediment, but it could one of the largest. The process of education and acceptance takes time. One of the great investment problems is learning to process all of the information that exists about the markets. There is information overload both from good facts and analysis and just plain noise from information that is useless. There clearly is a limit in the amount of information that can be stored and processed by any manager. This overload problem is is what makes global macro investing especially difficult. There has to be continual review of all asset classes. The macro investor has to understand the US equity market as well as all other major markets and their relative value. The macro investor has to understand US bonds markets as well as bonds around the world. The macro investor also has to track currencies, commodities, and alternatives. In fact, this broad set of markets has to be continually tracked by any diversified investor. One solution to this information problem is just to hold a broad basket of asset classes and not worry about information overload. Portfolio diversification will protect from many asset specific risks. A higher level approach is to use some form of risk parity to further diversify risk under the assumption that there is too much information to process. Another solution to the information overload problem is to use some rules of thumb or cues for determining what markets may have more potential for upside or downside. Trend-following as a filtering and smoothing mechanisms can serve as simple investment cue. Think of the most simple recognition cue and trends. There is a broad set of markets and one starts to do better than all the rest. This can be a cue that means something good is happening. Systematic traders may use recognition cues through trends and stop with that as their only signal. The recognition of a trend could also call for a review of news or information to determine the reason for the trend. Of course, the news has already been announced and incorporated by the market. Processing of this information may take some time; however, there is evidence that once information flows start in one direction it may continue. For example, once monetary policy changes direction it usually stays in that new direction for some time. Recognition cues are well known to be associated with memory retrieval. There is a cue which causes us to recall a memory which then can start the process of information analysis. Unfortunately, using recognition cues to retrieve memories can have some problems, our recall or recollection may not be that good. Keeping the recognition cue simple makes sense and is an effective way to make active investment decisions. If there is an absolute trend, there is a cue. If there is a relative trend, there is another cue. These cues can be used as simple substitute for tracking all the information that can be associated with all the diverse markets traded around the globe. Hedge fund disclosure - wide behavior but biased? Hedge funds are supposed to be a secretive group, but a review of their newsletters and disclosure information suggests that there is a wealth of information provided to investors. Unfortunately, the type of information provided is highly variable and may be self-serving. While there are best practice standards set by the Managed Funds Association (MFA), there is no general or minimum standard of what will be reported. The wide information on hedge fund disclosure behavior and their practices at providing the details is presented in a provocative paper called "Hedge Fund Voluntary Disclosure". This is an important piece of research and needs to be read carefully especially in light the possibility for more disclosure requirements. On the positive side, hedge funds are not as opaque as thought and there is a growing amount of information that is provided to investors. This is an area of competition among hedge funds and shows that managers want to compete for investors through providing more information. Nevertheless, the authors find some interesting patterns in the data which suggest agency problems and self-serving behavior. Hedge fund use the information provided as a form "advertising" through elected giving up the good information and avoiding the bad information. The authors find that better managers provide more information on their performance but less about what is going on in the portfolio. If a hedge fund has proprietary strategies and positions that are working, it does not give up this information easily. Riskier managers seem to provide less information on their risk. Their behavior is consistently self-serving. The high volatility managers do not highlight their volatility. Good funds seems to attribute their performance to skill and bad performing managers seem to believe that their perform is related to external factors. The markets are not behaving. The authors reviewed thousands of newsletter to generate their statistical conclusions. This seems obvious, but it does suggest that the variance in information is based on selected behavior by the managers. There are agency problems with disclosure. The disclosure of information is evolving quickly. Years ago little information was provided except for performance and some statistics. Now, a wealth of information is provided but it can vary by manager. Managers do not provide information that put them in a bad light. 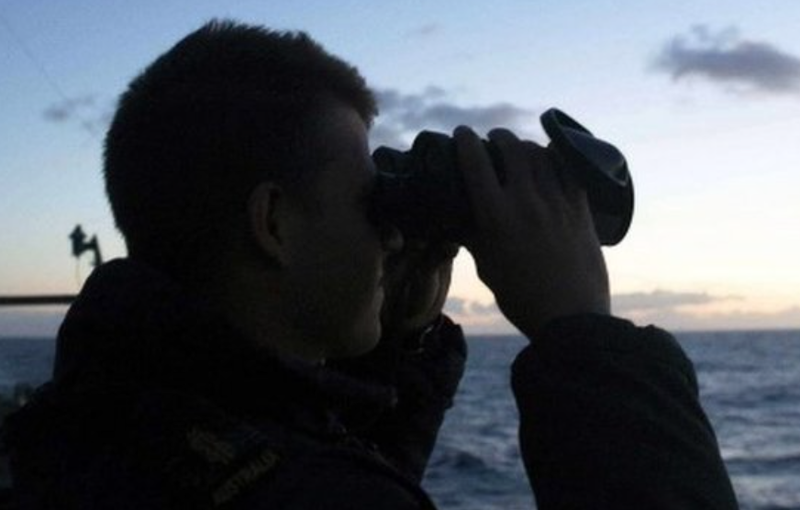 Like any detective, the investor who is doing due diligence has to look at the information provide but also for the information that is not provided. What is missing can be as important as what is told. 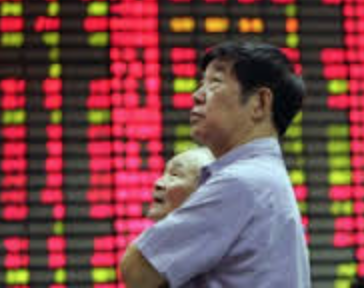 China equities - why are they going up? The China stock market was up 49% last year and over 11 percent this year for a gain of almost 80% in local term since July 2014. Now this is a bull market. So you would think that the economy is roaring higher, but it has actually slowed to the lowest growth levels since the financial crisis. Earnings are not great, industrial profits are showing negative growth and the overall economy may just grow at 7 percent this year. Money and credit have been growing but a close look at the numbers would suggest that capital outflows are softening the action of the central bank, so it may actually seem tight. What we are seeing is a one time shift in savings into the stock market. Brokerage accounts are growing at an ever faster pace as money is moved to stocks. The savings rate has been extraordinarily high in China and given the financial repression of capping deposit rates, there has been limited places to earn a healthy return. Real estate has been the investment of choice, but many are now switching to stocks and this is a catch-up effect. This does to mean that prices will be rational. The supply of stocks is limited relative to these savings flows so we are seeing a portfolio rebalance pricing effect. This shift from deposits to stocks will not occur overnight and the flows could reverse given the fickle nature of new investors, but every investor should be prepared for more volatility and big swings in China equity markets. Regulators may not like the leverage being used and the number of new investors entering the market, but trying to stop this market may not be positive for a government already grappling with a large number of economic problems. This is a stock market to watch. Herd behavior - is it rational or irrational? This is not an easy question to answer. 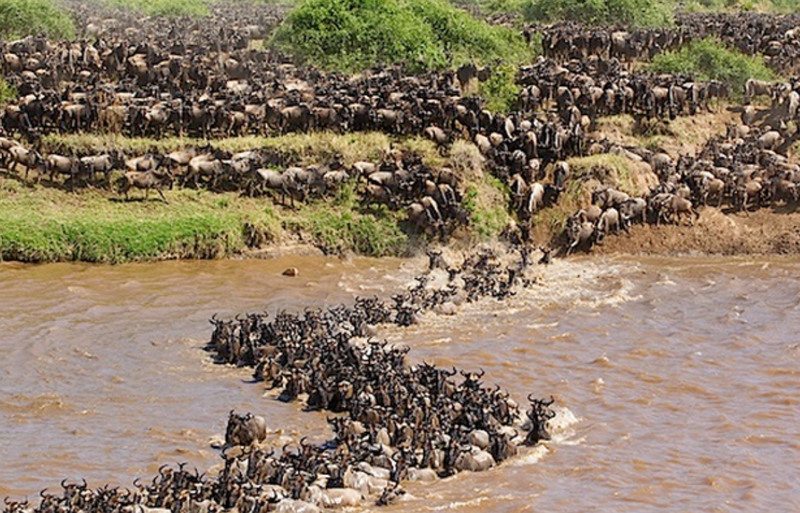 Following the herd can be useful when there is significant market uncertainty. If you don't know what is the value of a security, follow the action of others. This could be called rational herding. Assuming that you believe the crowd has an information advantage. If you believe no one has an information advantage, then the best action is no action. 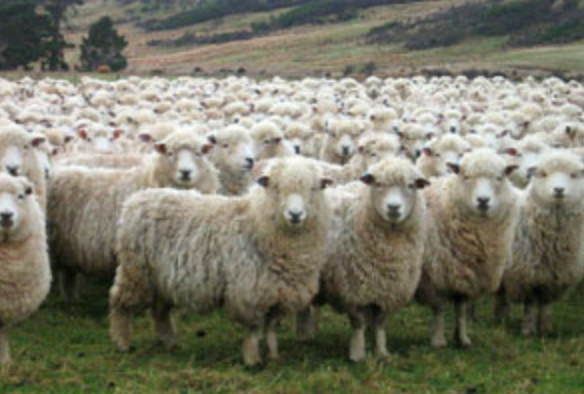 Many define herding, as following those who have already taken action without regard to your own private information. You desire to be a conformist relative to following your own views. This is irrational if your private information is correct or better than the action of others. Unfortunately, we are not always sure that our private information is correct. So the less certain we are about our views, the more likely we will or should follow the herd. Everyone acting at the same time to a given piece of new information may be spurious herding. If there is a news announcement and the market moves in one direction that could just represent a clustering of behavior. If the announcement occurs and you have a different interpretation of the data but you follow the actions of others, that would be considered herding. This is all important because herding generates serial dependence in prices. The will trend. This will not happen all of the time but it can repetitive enough to be exploited with models. However, herding may not be the focus of long-term trends. It may be more representative of short-term trends. Herds will break-up when enough investors follow their own private information, there is new public information, or a new herd based on different expectations. Long-term trends are more likely the result of trends in fundamentals. Whenever a trend occurs it is always good to ask whether it is related to a trend in fundamentals, a clustering of new information, or investors just following the story and behavior of past investors. Good trend-following involves more than just looking at price just to understand the risks and potential for reversal. CIO Magazine provides a different perspective on alpha and beta. It presents a hierarchy for alpha and beta-based trading. This hierarchy of investment skill can be viewed on two dimensions. The number of managers competing and the price elasticity or sensitivity of prices for a specific type of trading which tries to extract value. An inelastic return source will be more unique and sustaining. All managers can generate or access the risks associated with pure beta. 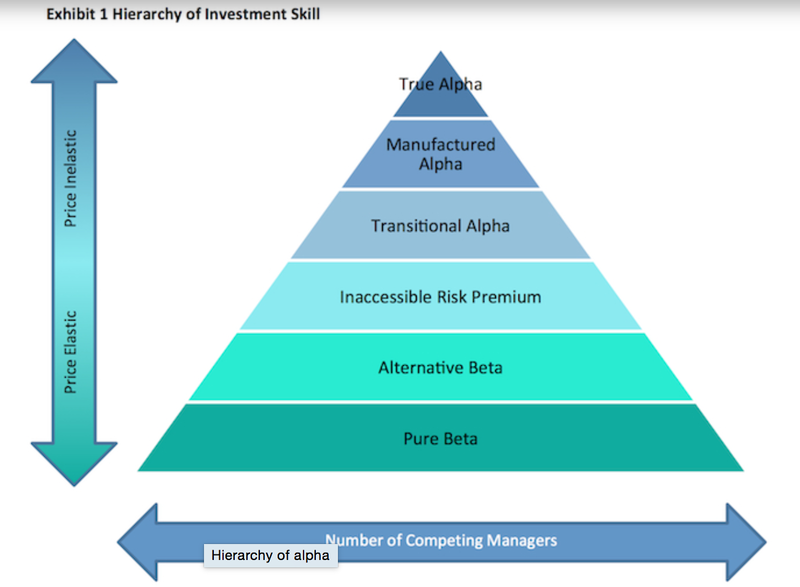 At the other extreme, pure alpha is a unique investment skill and is limited to a few. These represent the top and bottom of the pyramid. The space between pure beta and alpha is where most money managers battle for excess return and is also the areas which are harder to define and measure. An investor's job is to separate or understand how these investment skills can be differentiated. Slightly more difficult to access than pure beta is alternative beta which is associated with different risk premiums. This would include small firm effects, perhaps momentum, value, and carry strategies. These strategies are well-defined. Rarer are inaccessible risk premiums which may be limited to fewer investors because there are structural or regulatory reasons why everyone cannot access. These returns are not a function of skill as much as positioning in the marketplace. A barrier to entry may not be an investment skill, but can still be beneficial. Transitional alphas are excess returns which are temporary because of a change in the marketplace. The Volcker Rule or changes in the repo market may allow some to profit temporarily while the market is in transition. Since there may not be barriers to entry, this alpha will eventually be bid away. Manufactured alpha is generated when risks are structured or packaged to allow access which is not generally available to most investors. Mortgage and REIT products are a manufactured alpha which is provided to investors. It can also be a source of unique risks. I do not fully agree with the return pyramid, but it does provide a simple framework for determining what value-added managers may provide to investors. Alpha is not always associated with skill. This is not bad, but should be recognized. Investors should seek and pay a premium for skill but should not confuse structural issues or risk premium capture for pure investment skill. Surprises will occur. It is a part of live in any asset market. If markets are efficient, then prices will react to rebalancing, hedging, and when there is some unanticipated information or news. This is a simplification, but it is one of the key working premises of the efficient market / rational expectations paradigm. Some of these surprises are truly out of the ordinary, but many are predictable. Over valued stocks or bonds, a Fed action, a supply shock. All can be surprises, but all have some level of predictability. An important way for a asset manager to create value is through preparing for these surprises or making them more predictable. It may seems like an oxymoron to say we can prepare for predictable surprises, but it has been the subject of good book by Max Bazeman and Michael Watkins, Predictable Surprises: The Disasters You Should Have Seen Coming and How to Prevent Them. This book is over 10 years old; however, it is filled with insights that can be employed by any money manager. The book focuses on organizational dynamics, but the thoughts of how to deal with surprises can apply to any money management organization. 1. We knew a problem exists and it will not solve itself. 2. The problem is getting worse. 3. Fixing the problem will incur significant costs and the benefits will not be immediate. 4. Addressing the problem will have certain costs while the reward is uncertain. 5. An organization fails to prepare for the surprise because of the tendency to maintain the status quo. 6. There is a vocal minority that benefits from inaction. The case of September 11th and the Enron collapse are just two simple examples of predictable surprises. With September 11th, there were many signs of a a potential problem. The costs of better preparing for an extreme event just seemed too high relative to the expected reward. The US government missed it. In the case of Enron, special interests, conflicts, and an unwillingness to confront problems all contributed to the blow-up. The Great Financial Crisis a perfect example of a predictable surprise. Many saw it coming but did nothing because the costs were high versus any immediate reward. There are strong cognitive roots for the predictable surprises leading to significant harm. Whether positive illusions, overly discounting the future, fear of regret, or a bias to the status quo, there are strong reasons for not seeing the problems in front of us. The biases of the individual are compounded by institutional failures. 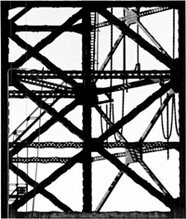 Firms work in silos, secrecy, and with selective attention. Organizations often suffer from poor learning and special interests. Bozeman and Watkins form a solution through following a simple three part model of recognition, prioritization, and mobilization. It is a little more complex than three simple actions, but the framework allows for a way to deal with expected issues as they arise. It seems like to can be effective with any information problem. A rules-based system can cut through organizational dysfunction and allow for quicker decisions. A systematic model could apply this framework in a manner that is much quicker than most organizations. Get ready and don't be surprised. Bond market bubble - really? There was an interview with Robert Shiller, Mr. Irrational Exuberance, discussing whether the bond market is in a bubble. There are more of those stories this year. The CFA UK survey reported that three quarters of money managers surveyed believe the bond markets are overvalued. There is little research that can provide evidence to support the view that we are in a bubble. This is the problem with any discussion of bubbles. It is hard to distinguish between overvaluation and bubbles. Past models of bonds don't seem to explain current behavior, but that is not the same as evidence of a bubble. 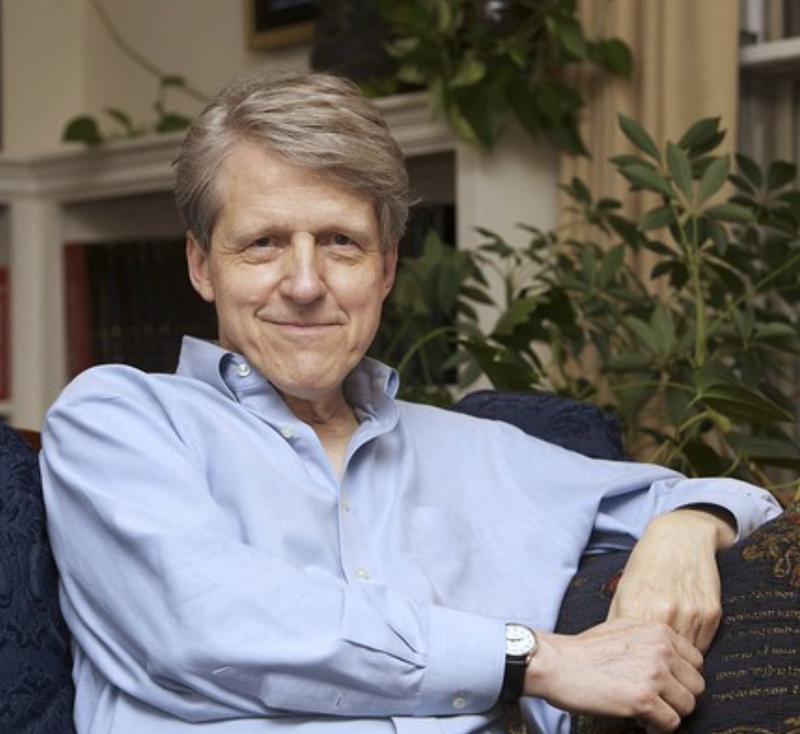 Shiller does not commit to a bubble story in the case of bonds. There are few times when we have had a large bond sell-offs and it is unlikely that conditions exist currently for a big rate reversal. Are there signs that we are in a bond bubble? Unfortunately, the bond market does not seem to follow the usually pattern for a bubble. There is not strong enthusiasm for this bond market. Money flow has moved into bond funds and foreign investors have bought US bonds but it has been more for safety over enthusiasm. There is movement out of cash. There is fear of stocks but there is not a love of bonds. A close look at the components of nominal yields suggest that bond pricing is stretched but certainly not at extremes. Expected inflation is below two percent and long-term growth also seems to be at the two percent level. That would suggest that long-term yields should be about four percent assuming no risk premium. Measures of bond risk premiums are also close to zero. While there can arguments for yields being higher, current pricing does not show yields at extremely stretched levels. Overvalue does not make a bubble. It may make bonds a bad investment but not a change in the hundreds of basis points. A component of bubbles is a psychological feedback loop which help to push prices to greater extremes. Trends are reinforced with stories to justify the market direction. We have heard the "new normal" and "secular stagnation" stories gain traction, but the numbers seems to reinforce these stories that the post financial crisis period has been different, one of slow growth and inflation. These stories do not seems to fit the feedback loop scenario. Additionally, foreign flows continue as money moves into the dollar as the US rates are actually high by the standards of the EU and Japan. In fact, yield are higher than the 2012-213 periods based on higher growth. Could there be a 100 bp rise in rates over the next year? Could we see a 200 bps rise? Both are possible and very consistent with a higher growth or greater risk premium story; however, this kind of rise, albeit large, would be small relative to what we have seen during other periods of bond market sell-off. Bond risk is still a concern, but not the frothy levels of a bubble. 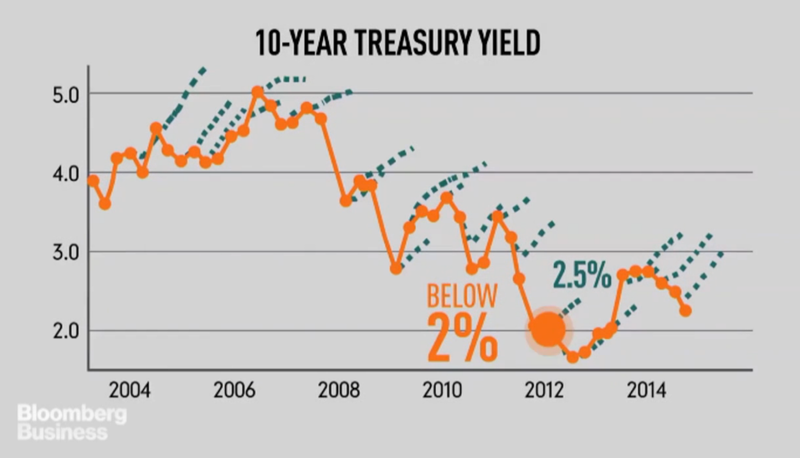 An informative Bloomberg chart and video compared the actual 10-year yield with the consensus forecasted yields as represented by the green dashed line. All forecasts have been expecting increases in yield. Those yields have generally never been realized. Forecasters get it wrong with the long-term interest rates. Forecasters have expected the Fed to raise rates by now. It has not. Deficits have not mattered. Inflation expectations have been too optimistic. Growth has been slower than expected, and risk premiums have come down almost to zero. Analysts have gotten all of the parts of wrong with respect to nominal interest rates, so it should not be surprised that the forecast have been wrong. Forecasters have been waiting for the the big fixed income rate raise and it has not happened. Recent forecasts have been even more biased upward. These expectations may be realized but not because of skill. It could just be luck that rates will at some time rise. Albeit you may not even want to bet on that. 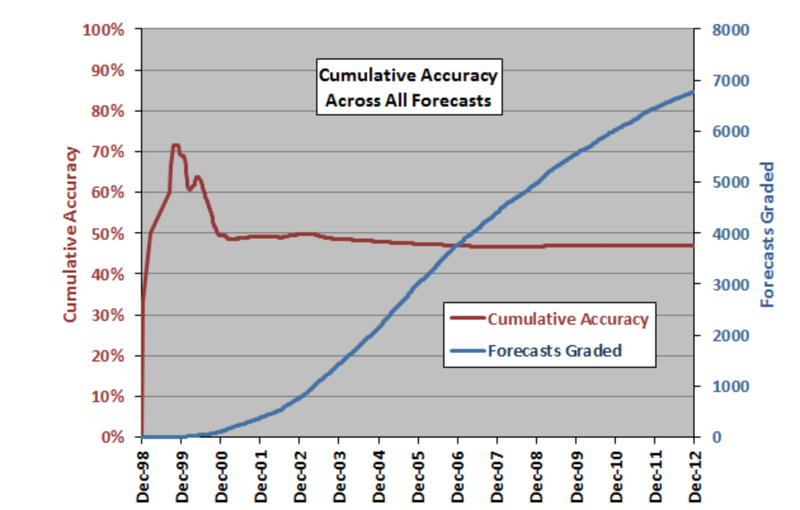 Why focus on the errors of forecasts? It does not make me feel good to say we cannot forecast well, but it does impact how portfolios should be constructed. Diversification is still the foundation of good portfolio management. We will get forecasts wrong, so it is critical to focus on broad construction. That said, can tilts be placed in a portfolio based on risk premiums, trends, and market cycles? The answer is yes, but all things should be tempered. Hites Ahir and Prakash Loungani have been tracking the quality of forecasts for years at the IMF. As they have stated, "The record of failure to predict recessions is virtually unblemished." Both private and official forecasts get it wrong. A review of some of their updated charts across a sample of 77 countries in the post financial crisis period shows there has been no improvement in the quality of forecasts around the world. 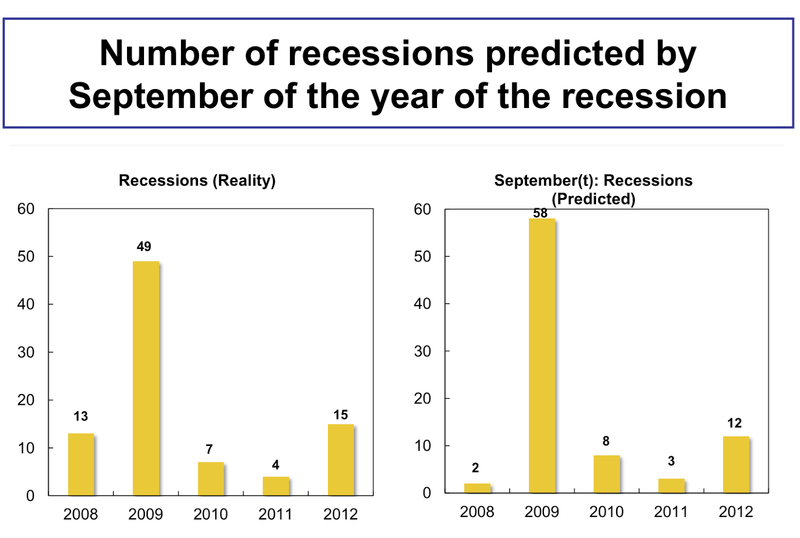 Forecaster are poor at predicting recessions. The one thing that forecasters have to get right for investors, they fail. 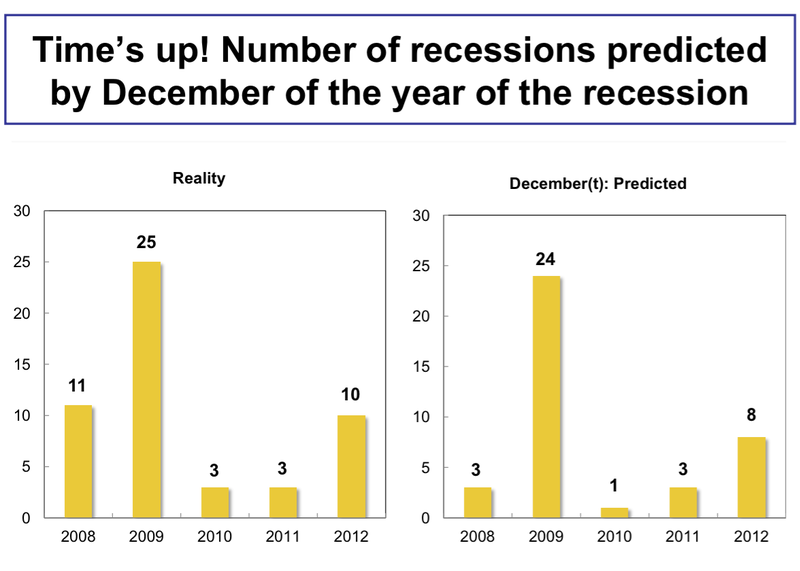 The consensus cannot even agree in December of the year of the recession that a recession occurred. 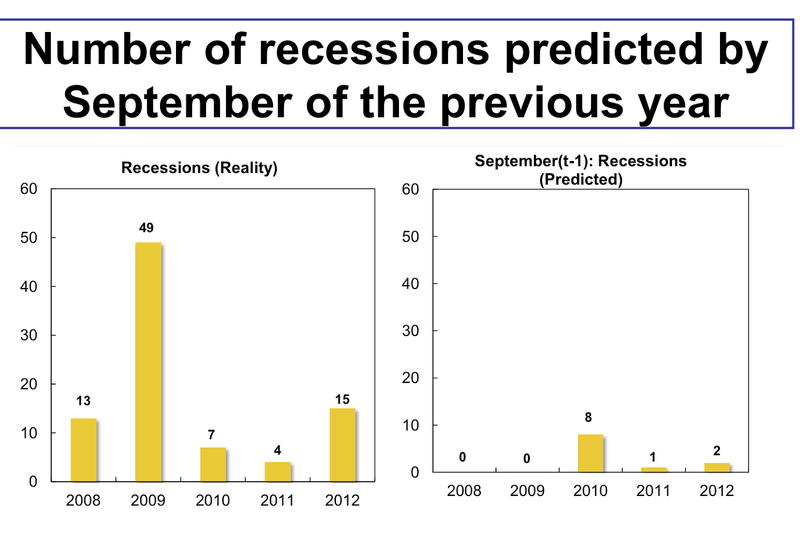 The authors suggest there is some hope because they predicted more recession, but they usually cannot get it right even in the year in which the recession occurs. I would like to be a good forecaster but I am also aware of my limitations. First, I have to get the forecast right and then I have to map the forecasts into return space. Both are not easy, so a good second best alternative is to follow the trends and price behavior. This can be further enhanced with some fundamental information about what is the state of the world at any time but a price focus will minimize many forecast errors and allow for quick adjustments. Many like to categorize investment management approaches. Give a strategy or approach a simple name that can describe the relevant behavior with a shorthand description and you can jump-start a discussion. There are circulating two very different approaches to asset management these days, the "Yale" model and the "Norway" model for the Norwegian Government Pension Fund Global (GPPF). Each model has a significantly different approach to portfolio construction. There has not been enough testing to determine which is better. Many portfolios are a hybrid and to truly distinguish the differences you need a lot of data, but each is based on different assumptions on how markets work and how returns can be generated in the marketplace. It is important to understand the difference and make a judgement on which best suits your mind-set. The "Yale" model has been the rage for a number of years given its strong long-term performance over the last 20+ years. While I may not do it justice, the Yale model is based on diversification and a focus on capturing alpha that can be found in illiquid or unique investment opportunities. The early descriptions centered on equal allocations across six asset classes: domestic equities, international equities, emerging markets, real estate, bonds and TIPS. There was also a focus on low costs, private equity and the idea that liquidity should not be emphasized. 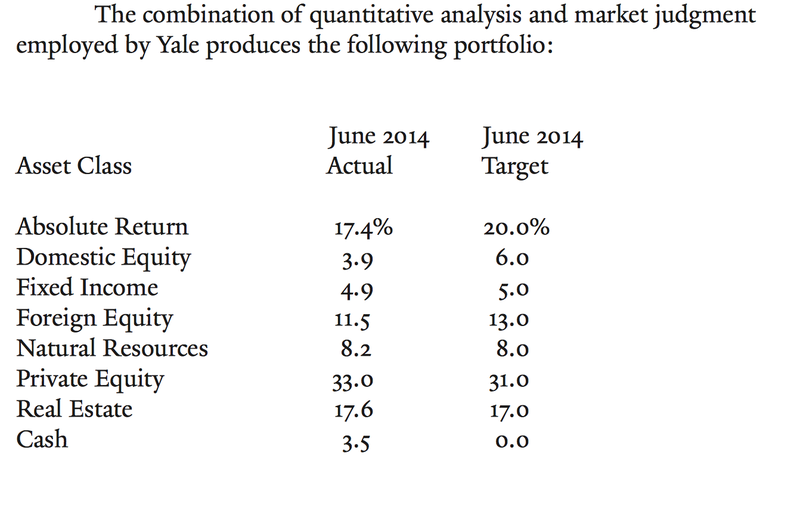 The Yale investment focus is on equity-like returns through venture capital, private equity, natural resources, foreign equity, and real estate. The current focus is to have, over the long-run, half the assets in illiquid investments. Generalizing, there is a strong focus on alpha generation and finding the right manager who may have skill at extracting return from the markets. The Yale model has always emphasized equity returns over bonds, skill and alpha production over beta exposure, and illiquidity for a premium over liquid assets. Today, domestic marketable securities account for approximately one-tenth of the portfolio, while foreign equity, private equity, absolute return strategies, and real assets represent nearly nine-tenths of the endowment. The model focuses on beta exposure and minimizing costs. There is a clear emphasis on finding the right benchmarks and tracking error against benchmark over pure alpha generation. There is a greater focus on exploiting risk premiums over pure skill. There is a greater emphasis on public companies and less on alternatives for alpha generation. There is a limit on ownership stakes and a bias to index-like returns. There is more emphasis on factor returns and less on the illiquidity premium. The model tries to avoid agency problems. A global macro manager will be more comfortable with the Norway model. The emphasis on beta and risk premia is very different than alpha and illiquidity. The investor who follows a Norway model should be more willing to have exposure in manager who adjusts beta in an effort to take advantage of return tilts. The NY Fed research staff has written a provocative paper called Anxiety, Overconfidence, and Excess Risk-taking. The authors take research work on changing risk preferences through time and apply it to investor behavior. This is used to explain how investors may behave in different risk situations and show a tendency towards over-confidence. The researchers try to model the over-confidence often found with investor behavior. The paper is not easy to understand, but it does expose the reader to some interesting work in psychology and changing behavior to risk. A lot can be explained when we assume the preferences change through time. For example, the idea of "anxiety" is found in psychological testing. When posed with taking a risky bet today versus a risky bet tomorrow, many will take the risk tomorrow. If someone has to take the same risk today, they will "chicken-out". Risk preferences change based on when the risk will be realized. People who are willing to commit to a risk for tomorrow will change there minds if given the same opportunity the next day. Many will have inconsistency with their risky betting strategies. The people who make inconsistent bets seem to be aware of their behavior. They have to pre-commit or they change their views on the type of bets taken. These changing risk preferences create a complex problem for unraveling the behavior of decision-makers. There is solution to these problems with systematic models. It seems that models that force or impose commitments will have a distinct advantage over discretionary behavior when facing a risky environment. Every investors wants low volatility and low correlation with good returns. This low volatility/low correlation "holy grail" is the critical objective of many hedge funds and alternative investments. Even if returns do not meet some pre-set target, the hedge fund manager will always point to the diversification benefit, but the diversification benefit could be illusory. An artifact of low liquidity is low volatility and correlation. Diversification "skill" should not be confused with holding illiquid investments. Take a very simple example. If you hold an asset that does not move in price because there is no market, it will have by construction low volatility and will be uncorrelated with any alternative. Of course this is an extreme example, but if there less liquidity it will create the illusion of diversification. Should an investor pay for diversification that comes from illiquidity? illiquid assets will have more memory since prices changes may occur slowly over time and there is a an induced serial correlation. Volatility is smoothed or lower than compared with more liquid investments. Hence, to get a good idea of what is the true volatility there has to be an adjustment for serial correlation. The volatility of an illiquid can be roughed-up through an adjustment process. The order of magnitude increase in volatility can be quite large when this adjustment is made. Roughing up the volatility will not affect returns, but it will impact correlation and the information ratio. Low vol strategies will be riskier and great information ratios will be forced lower. The key investment issue is whether you are compensated for a lack of liquidity. If there a liquidity premium, what is its size? This is not very clear. If there is illiquidity and there is an illiquidity premium, how much liquidity should an investor give up in the form of gates or lock-ups? These may be critical issues if there is a market downturn. These liquidity issues may also have to be addressed very quickly in a rising interest rate environment. There could be problems with holding a credit portfolio that loses liquidity. I was rereading an article by CXO Advisory on rating guru predictions. This is an important study because it bursts the bubble that the investment gurus have some kind of magic power at predicting. The evidence suggests they are worse than a flip of a coin. This study graded close to 7000 forecasts from some big names in the industry. These discretionary managers do not have any special insights. I am not indicting these experts. Their investment processes work for them. Their good picks may way outstrip their loses. The study was carefully conducted and the authors are careful with their conclusions, but the results are sobering. If you cannot trust the experts to be better than a flip of the coin, what is the next best solution? Actually the two concepts are tied together because diversification is connected to price behavior through the measures volatility and correlation. Prices may not be a perfect guide and there can be deviations from fair value, but using price data as base predictions is always a good starting point. If you do not have an information advantage or a processing advantage, a price-based system is the bets place to start. Tail risk now - Are the markets telling us something? I actually saw a Black Swan. It was in Zurich and I wish I had a camera to capture that odd moment. Tail risks, by definition, are rare but they do occur. Their occurrence is often more frequent than what we generally think often because we try and force market behavior into a normal distribution. We live in a fat tail world. However, the changing expectations of fringe or rare events will have a significant impact on extremes in the distribution. A small change in probabilities may have a big impact on the pricing of out of the money options. 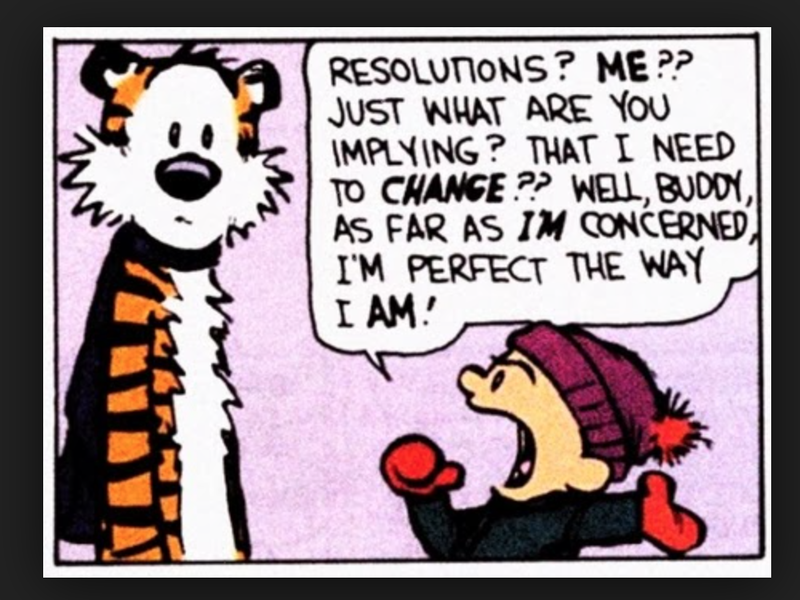 Small changes in extreme views will have a big impact on extreme expectations. 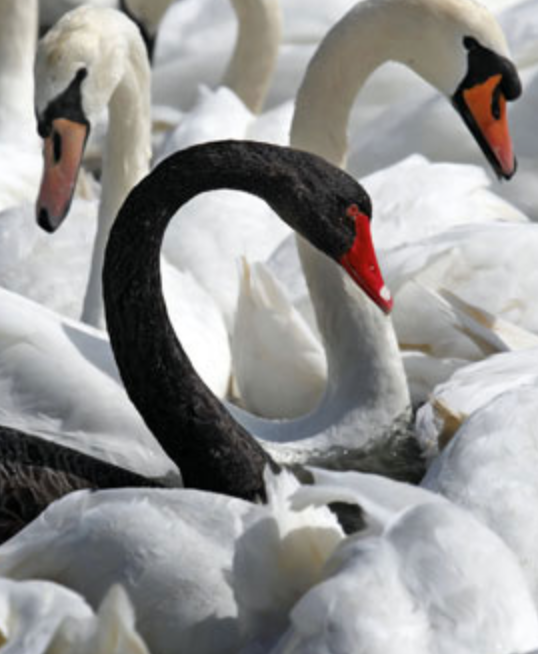 Have the potential for black swans been noticed or priced in financial markets? If you look at volatility the answer is yes. A simple example is the volatility with the euro. Three month ATM volatility has increased 80 percent in the last year. The spread of possible prices has widened so a two standard deviation event will be significantly further from the mean. Any "tail event" is going to have a bigger market impact. A two standard deviation event in a high volatility state will have a greater price impact than a bigger deviation in a low vol stat. It is the tale of volatility. While volatility has increased, we have not seen significant increases in stress indicators. They have increased but do not indicate a concern at this time. We also have not seen increases in uncertainty indicators. Market prices variability has been increasing but fundamental tail signals have been more mixed. 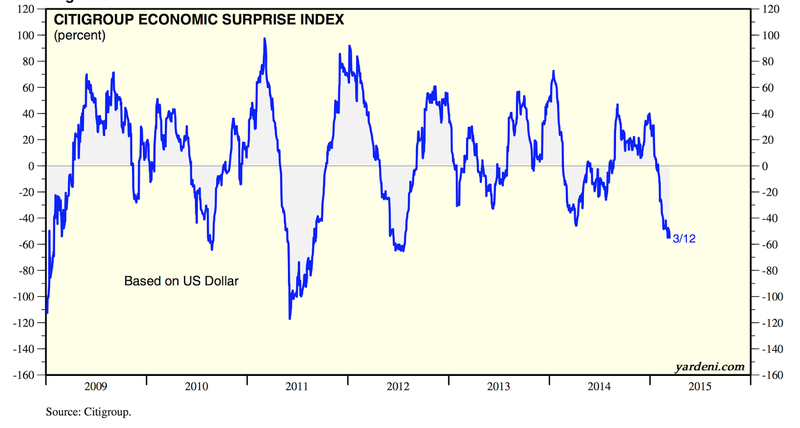 The Citibank surprise index has fallen quickly but is not at recession levels; nevertheless, this should be a growing concern. The trend is down. The question is whether markets are ready for a tail event. If volatility is higher then the price impact of any two standard deviation event should be reflected in prices. However, most investors still focus on the mean and not the whole distribution so it is unclear whether investors are ready for an event. If you are not tracking the entire distribution, you better get ready for some tail risk. Benchmarks are chosen based both on what is acceptable to investors and past precedent. For US equities, it is the Standard and Poor's 500 and for US bonds, it is usually the Barclays Aggregate Index. A good global equity index is the MSCI world index. Small caps may often use the Russell 2000 index. Pension clients may mix and match indices to complement their long-term objectives while managers will usually want a single generic index for peer comparison and marketing. Picking of the benchmark has strong implications on the measurement of alpha and beta for a manager. It also has large impacts on measuring the active bets taken by a manager. What is missed in this process is the use of the benchmark as an active tool to determine or measure what are the bets taken by the manager. The chosen benchmark makes a difference because it provides a relative scale for the bets taken. A simple benchmark that is easy to beat will provide a false sense of alpha creation. Tracking error against a benchmark is a key risk measure, but it is not very informative. The use of active shares provides another dimension on the quality of active management. The active share is the difference in exposures against a benchmark. Think of it as the position level or micro tracking error of a manager bets against a benchmark's allocation. From the exposure differences comes the tracking error return. Using benchmarks as an active tool still seems to be in its infancy. This is especially the case with hedge funds that do not always want to track the amount of active bets versus passive indices. This is also fairly difficult to measure for managed futures or global macro managers because the active bets have to be measured across multiple benchmarks. However, there is some clear conclusions we can draw from looking closely at benchmark selection. If you choose a better benchmark, you will shrink your alpha and increase your beta. If the benchmark better mirrors actual behavior, then it will cover all of the asset that could be employed. This is a good strategic investment measure, but may not be good for the manager who wants to be paid for outperformance. Choose the right benchmark and you may get better long-term performance even if the positive tracking error is less and the active bets are smaller. Bigger active share bets against a poor benchmark may make the manager feel good and may impress clients, but it may be the wrong long-term choice for the investor. 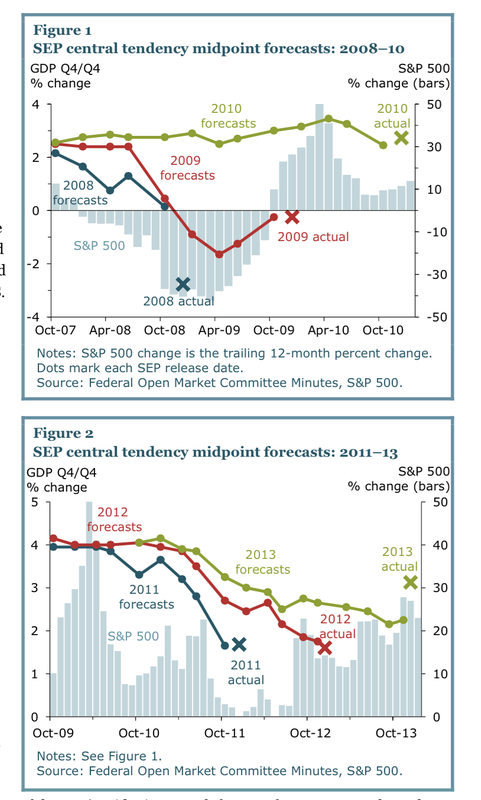 The Fed gets their forecasts wrong. If investor followed Fed forecasts, they would have thought the Great Recession would have been less severe and would have thought the recovery would have been much stronger. The Fed just does not do a good job of making predictions. Their central forecast tendencies given all of their resources and staff are dangerous for use in decision-making. The poor forecasting was nicely summarized in a San Francisco Fed Economic Letter, "Persistent Overoptimism about Economic Growth". The Fed has been tracking their central tendencies with their Summary of Economic Projections (SEP) since November 2007. The review of the SEP projections tells us that there is too much optimism in forecasts. This is consistent each year that the SEP was tracked as seen in the figures below. So what do they attribute this over-optimism? The researchers argue that the forecasts are closely tied to the past growth. Given all of their expertise, the researchers say that the SEP is a just a trend from the past. This seems to be an odd explanation given the models used by the Fed. It does tell us that the idea that forecasters have unbiased rational expectations is flawed. These forecasts also do not tell us anything about the link between economic growth and asset prices. We cannot get the forecast right and we are not very good about measuring the link between the real and financial economy. In the global macro space, there should be less time focused on trying to forecast the future and more time just determining where you are in the economic cycle. You cannot know where you are going until you know where you are standing. This is foundation for any good research process. You do not defend a hypothesis, but test it and see if it holds up to review. Open-mindedness offsets the over-confidence bias that we often have with our investment views. Open-mindedness mean open to change when presented with new facts. We can learn a lot from old investors who lived through bubbles and crashes. 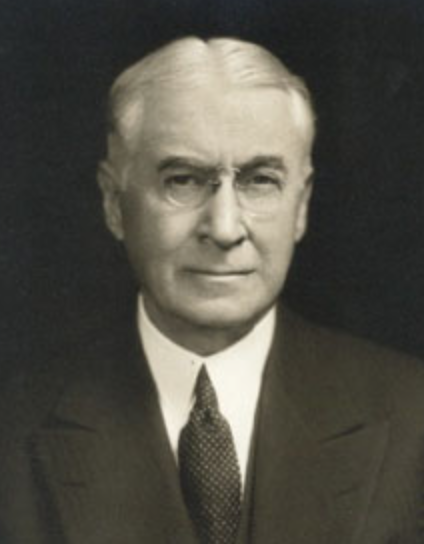 Following the advice of Bernard Baruch is as useful as anything heard from current market experts. In fact, I will put my money on the "lone wolf" of Wall Street. Asset prices are all about expectations, but making that statement means more than just observing and acting on the mean of the distribution. It also included analysis of volatility and the tails of the distribution. You have to look at all pay-offs of the distribution. The investor who only looks at the first moment of the distribution, the mean, is like the blind man who touching only one part of an elephant. He is missing key information. A broader approach based on the distribution of price views places more emphasis on ambiguity in forecasts and expectations. The dispersion of opinions and the uncertainty in conviction should have an important impact on financial price behavior since prices are based on forward expectations. As import, ambiguity will have an impact on the investor behavior because of risk aversion and ambiguity avoidance. A focus on the difference between risky and ambiguous situations is increasing relevant for understanding financial markets. Risk is associated with situations when the odds are known. For example, betting on a roll of the dice is risky, but odds can be calculated. An ambiguous situations is when the odds re not known or well-defined. Under situations of ambiguity, investors will often choose the risky option which seems more certain. There is a difference in betting on situations where the probabilities are know versus those situations when the odds are unclear. If ambiguity increases, investors will always choose options that are easier to measure. This is why measures of ambiguity or uncertainty are so relevant. If investors always prefer certain environments even if risky over ambiguous situations, we should expect to see portfolios adjust to safe assets when uncertainty increases. A good review of the issues concerning ambiguity avoidance has been written by Mark Machina in the December issue of the American Economic Review. 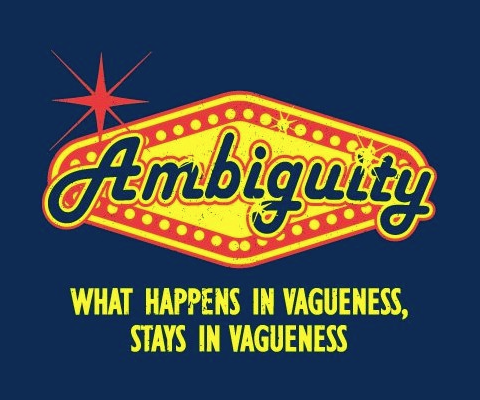 The ability to assess or appreciate ambiguity is critical for systematic traders because it provides insight on why there are market frictions and why prices may not adjust immediately to new information. I often focus on the primal role of prices. There is clarity when you focus on price information. If the price goes up and you have a long investment, you are right. If the price goes down, you are wrong. Given the mark to market process in futures, everyday is a settling of scores. Prices provide important information and signals. This is especially true when investors are facing a significant amount of uncertainty. When faced with more uncertainty or a shortage of good information, the only good choice is to follow the crowd. Some have described trend-followers as non-informed traders who could destabilize price. The same could be true of those who are over confident about their ability to discount information. Following prices is just one form of decision-making when there is limited confidence in the link between fundamentals and price. 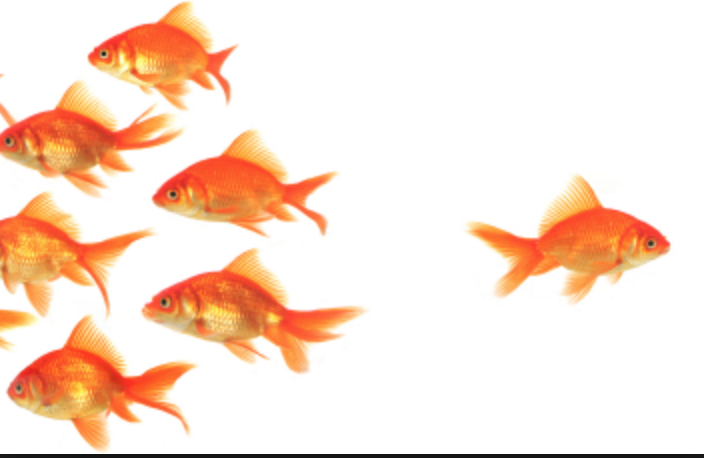 What does it mean to follow the crowd? Some think that is this listening to what the talking heads on the business news channels are saying, but that is far from the truth or the crowd. The wisdom of the crowd is right in front of any investors when he looks at prices. The price embeds all of the information of the crowd. If an investors is faced with period of market uncertainty and a lack of information, it is useful to then rely on prices as a key source of information. These periods of uncertainty will be the best time to follow the trends. This provides one line of reasoning for why trends are more prevalent during period of uncertainty. There is clear rationality with following the herd through the behavior in prices as a means of following market weighted opinions. That said, we also know that prices cannot incorporate all information. Simply put, if prices provide all market information, their would be no reason to collect information. This is the old Grossman-Stiglitz puzzle. Prices will not represent the discounting of all information. That may take some time and repeating regularly. Following the price is following the crowd, but that crowd represents the aggregated wisdom of all players willing to commit capital trading. It can be wrong, but it clearly is a primal source of information. I have embraced momentum trading, yet I also appreciate the complexity of markets. The foundations for why markets trend is strong. I also believe that trends will eventual end and there will be a reversion to the mean. No trend lasts forever. The reversal has to be the case otherwise we would not have a problem of stationary prices. Every trend ends. It is just a matter of understanding when the party is over. If that is the case, trend-followers and trend reversers can co-exist. The success of active trend trading is based on the ability to appreciate the power of exiting markets and well as entering. Some call this risk management, but there is actually more to this process. Exiting trades is loss avoidance which is different than risk management or the focus on loss diversification and control. The same can also apply to those who fade trends. I finished a recent article on momentum versus mean reversion by a very good statistician and market analyst, Salil Mehta. His analysis should be taken seriously What he shows is that money can be made from the same price series through trend identification as well as mean reversion. Trend-following focuses on buying past winners. Mean reversion focuses on selling past winners. The difference is is identifying when to do it and determining for how long. So which is better? This complexity is why managers have to think deeply about how prices behave. Trend following focuses on divergent trading away from an equilibrium price. Mean reversion focuses convergence back to an equilibrium price. Do you want to be a divergent or convergent trader? There are two paths and each manager has to determine which style is consistent with their mental risk tolerance. Investors have lived through the Greenspan put and the Bernanke put. You could say that many Wall Street professionals have thrived under the central bank "put" strategy behavior of lowering rates and providing liquidity whenever there has been a major stock market sell-off. Certainly many investors have used the put argument or belief to hold risky or riskier portfolios. You can take the risk because the central bank will bail investors out of problems with liquidity at the right time. A more conservative approach would say that they are providing liquidity when there is a threat of recession which coincides with a market sell-off but the impact has been the same. There is downside asset price protection in bad times. We are now in the age of the Yellen put, but the world is fundamentally different and investors have to be aware that the current environment will not offer them the same protection as provided for by the central bank in the past. So what is so different with the Yellen put? The answer is simple and should scare any investor. In the case of Greenspan and Bernanke, they were in a rate environment where the Fed could move rates down and support a rally through conventional monetary policy. Yellen does not have that choice, so if we have a crisis or a recession, it is not clear what the Fed can do except buy the safe asset, Treasuries. If the credit channel is compromised because rates cannot go lower, the Fed put may not exist or the form of the put is less clear. This means that any tail event could have more impact than what we have seen over the last 25 years. This should have any investor worried. The traditional approach to investing is to employ an allocation oriented investment management framework. A portfolio is structured with different asset allocations in order to meet some long-term strategy allocation benchmark and some need expressed by the investor. A simple case would be a 60/40 stock bond portfolio mix for an investor who wants upside but not equity risk. Nevertheless, delivering that allocation should not be the end. The resolution is to deliver specific outcomes to investors. There are buckets or weights for any asset allocations and the manager fills the buckets. There is nothing wrong with this approach but it may not get at the heart of what is most important with any investment program - the overall objective for the investing. There is not a clear focus in goal-seeking behavior with allocation based investing. There has been a new under-current of interest in what is now called outcome oriented investing. Forget about the asset allocation weights and just focus on the outcomes that are desired. An outcome could be a return target. It could be a drawdown limit. It could be performance subject to a specific scenario. It could be tail risk hedging. The focus could be on income production over total return. The focus for portfolio building is on what the investor ultimately wants. The focus is on aligning portfolios with investor desires and not some notion of what should be convention. The allocations is not the goal but the means to achieve the goal. If the allocation does not address the desired outcome, it has to change. Does this mean a wholesale change in investment management behavior? Not at all. But, an outcome focus will mean a greater emphasis on the results that are being achieved relative to goals. It requires more dynamic asset management. If you are not hitting the target, it is time to adjust. Outcome oriented investment is a challenge but also the advantage potentially provided by the hedge fund investment manager. Without benchmarks, hedge funds can focus on the goals of an investor and deliver what is actually desired - absolute return and and hedge from overall market exposure if that is what the investor wants. The focus can be low correlation because that is the out desired. hedge fund investing has to again focus on its advantage - the chance to deliver on specific outcomes. Everyone wants to be a contrarian, but it is hard to do. Being contrary is not enough. You have to have a rationale for your difference of opinion. Being contrary by thinking the opposite of convention is a recipe for disaster if it is not grounded in data, facts, and a workable model. Could a trend-follower ever be a contrarian, or is the trend manager the poster child of the anti-contrarian, the lemming? Since there are always buyers and sellers in markets, perhaps there are always contrarians - every buyer is a contrarian to the seller. The trend-follower as contrarian is actually a key part of what it means to be a trend manager with respect to general opinions. Sounds silly, but it can be true. The trend manager can be a contrarian to public opinion because the focus is on price and not what others think. If opinions are the same, but prices are doing something different it is worth focusing on what prices are saying. Prices may prove to be wrong, but it the process of being marked to market which tells us that it cannot be ignored. Price should be the weighted average of all opinions, so it seems odd to think in terms of being a contrarian, but in reality some of the most money made from trends occurs when market views are inconsistent with price. Keynes refers to general opinion but trend-following or systematic managers grounded in just looking at the data can be at odds with general opinions. Systematic managers are focused on data - it could be prices or it could be fundamentals, but the decision process is data driven not opinion driven. Look at the simple example of current market pundits and stocks. There is a vocal case for stock over-valuation. The drum beat of valuation has caused many to cut equity exposures, but in reality keeping with the trend has been a more successful strategy. Prices are telling us that current opinions are wrong or at least not valid in the current environment. Opinions may prove to be correct at some time in the future, but trend-following focuses on the here and now presented by price data. It may not be perfect, but it is a decision process that can be structured with precision. What will be the biggest risk for 2015? It will be liquidity. There will be more one-sided risks based on any significant changes in beliefs, but these shifts will be heightened because liquidity will be missing. There will not be any dealers standing on the other side of the market. So should investors pay a premium just to have liquidity? The answer is no, but shifting to less liquid markets is not going to be a solution either. Investors just have to work under the assumption that liquidity will not be present at the most critical times and the Fed may not have the tools to solve the problem. I am in the liquid alternative space, so do I have a fetish for liquidity? I just know that liquidity will be scarce when you need it so you better plan for every exit. That does not mean that you have to have stop-losses on every trade. Markets can easily blow through stops so it can provide a false sense of security. The only ways to really protect against a liquidity crisis is through diversification and limiting leverage. Diversification is simple - never place too much in any trade and assume that correlations will go up in a crisis. Leverage is also straight-forward - do not use too much leverage no matter what is the return to risk. Everyone cannot have liquidity, so it is critical to monitor markets for reversals. If trends change, the response has to be swift and without hesitation. Cut or reverse positions. Use the liquidity first because there may not be much behind it in the short-run. Major bank dealers are seeing continued erosion of profits since the Great Financial Crisis. There is no more proprietary trading with the Dodd-Frank rules. Volatility is down and trading volumes have declined. It is just hard to hit ROE targets in traditional, fixed income, commodity and currency trading in the current environment. Many investors will argue that this is a good thing. Banks have been making money from clients for decades so let them suffer. Nothing like seeing Wall Street titans taken down a notch. But, if you are interested in systemic risk, you want to think through the implications from this profit decline. Dealers make markets in strategic asset classes. The bond market is the place for safety in a crisis. Currencies are the biggest trading markets in the world. Commodities are a critical input to the real economy. The trades that can go through these markets can be very large and they need immediate liquidity. If there are no dealers, and make no mistake, banks are the only intermediaries with the balance sheets to provide liquidity, there will be limited liquidity in these markets. Futures traders, HFT traders, and hedge fund speculators do not have the capital to provide liquidity in the short-run. They do not have the relationships that will allow them to take trading risks that will be paid back in other ways. If banks start to streamline operations, cut head count, and reduce trading capital, there will be a liquidity impact and this will lead to true systemic risk. This market readjustment is happening now. A liquidity crisis is exactly what the Fed wants to avoid, yet the system may have gotten riskier.